The Atom is similar to the Blast in terms of specification with B rated lenses for extra strength, anti fog and anti scratch treatment and UV protection. However in this model they have added a foam strip around the seal to give extra comfort and additional breathability. 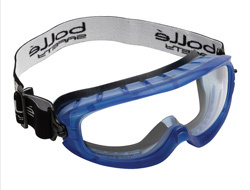 you find these features on the more expensive tactical goggles and similar to what you find on ski goggles. 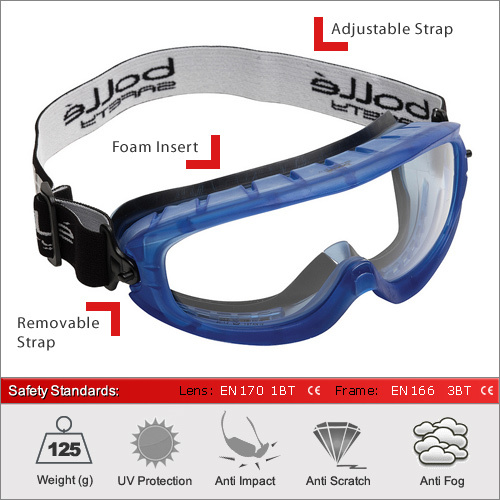 This goggle is EN166 category 3 rated for protection against liquid droplets. It is regarded as a ventilated frame and so would not benefit from categories 4 and 5 for protection against dust and gas. for thisyou'd need to look at the Blast in the sealed frame.